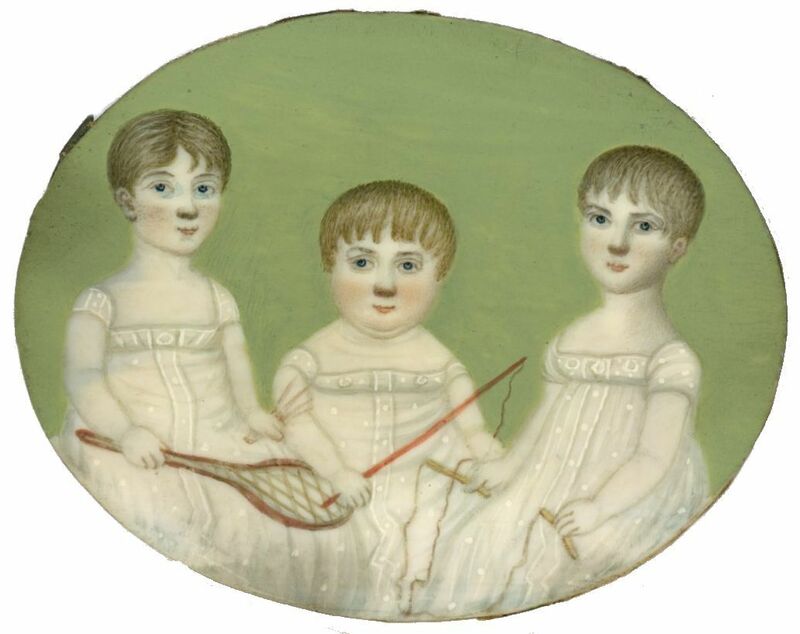 Naive in style but so very delightful, this unique portrait shows three young siblings all wearing matching spotted muslin dresses and each with a favourite plaything. 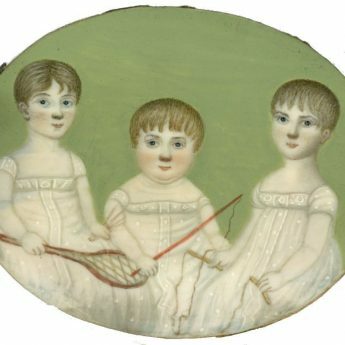 Holding a toy whip, the podgy boy is flanked by his older siblings, possibly twins and probably both girls. One has a skipping rope, the other a racquet and shuttlecock. 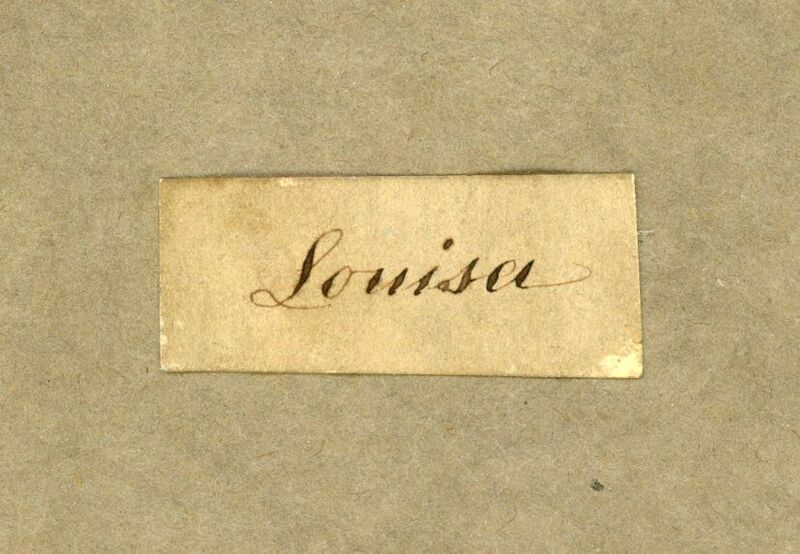 The only clue as to who the children are is an indecipherable word on the reverse of the painting – Robant? 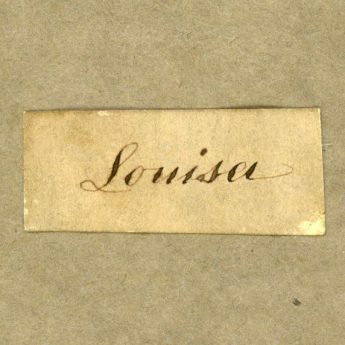 – and a small label inscribed ‘Louisa’ on the reverse of the frame. 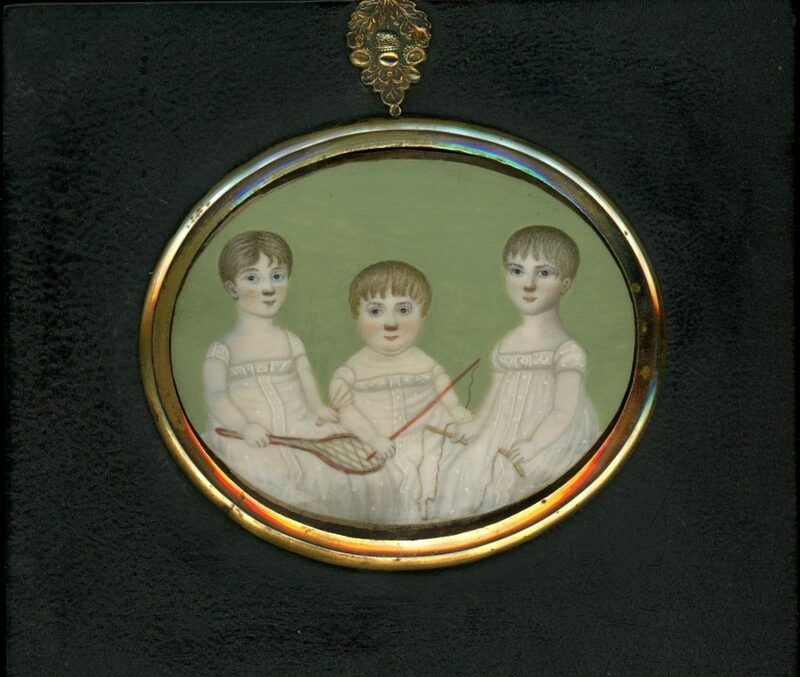 The portrait is set in a traditional papier-mâché frame with an acorn hanger.